In Sanskrit the Coconut Palm is known as the "Kalpa vriksha" which means "the tree that supplies all that is needed to live". Coconut oil and coconut butter are actually the same thing - the creamy white butter becomes a clear oil when heated above about 25 degrees Celcius. As the climate in the UK is generally cold this oil will solidify at room temperature. Simply pop the tub (with the lid on) into a bowl of hot water and it will turn back into a liquid. 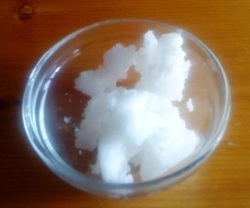 If using to moisturize skin - the warmth of your hands will melt the butter. breakfast swish about a tablespoon of oil slowly around the mouth, do not swallow, spit out after 10 - 15 minutes. Rinse mouth out well and brush with a natural toothpaste afterwards. and Maca when making homemade RAW Chocolates), Raw cakes and cookies. youthful. Add a drop of your favourite essential oil to the Coconut Butter / Oil. you are also using it in your diet. For use a hair conditioner - use on just the ends of the hair, or put on overnight and wash out the next morning. of this coconut oil and keep it next to your cooker at all times. you know about your topic of interest and publish on the internet.